Breakfast at Widus Hotel & Casino: Bring Home The Bacon. And Kimchi. Breakfast was still a day away, but I already had breakfast on my mind the minute we arrived at Widus Hotel & Casino. My visit to Clark was for the AirAsia celebration as the World's Best Low-Cost Airline for the tenth consecutive year. That's ten in a row, and no small feat in the competitive commercial aviation industry (for more on AirAsia's grand celebration for its recognition as the World's Best Low-Cost Airline for the tenth straight year by Skytrax, see my post on my other travel blog at #WeAreAllChampions: AirAsia Remains The World's Best Low-Cost Airline For The Tenth Consecutive Year). Since my first visit to Widus Hotel & Casino four years ago (see my previous posts here at Upping the Ante Up North at Widus Hotel and Casino and on my other travel blog at Changing The Game Up North at Widus Hotel and Casino), it's good to see the property has kept its sparkle and maintained well over the years. U Hotels spreads a new canvas in a tapestry of colorful layers with new flavorful offerings...meet me for lunch at U Hotels. Cocina Peruvia introduces new dishes capturing the rich and diverse multi-cultural layers of Peruvian cuisine from tasty starters to savory mains. Discover Peruvian flavors...at Cocina Peruvia. The All-Star Ooedo Set is an all-in package paired with four of everything you love from Tenya for excellent value. Just one order and your group of four get the all-star treatment with Tenya's All-Star Ooedo Set. Just a mere forty-five minute van ride from Tagbilaran Airport is another of Bohol's many hidden gems. Momo Beach House is a quaint and rustic boutique resort offering visitors another facet of the island's many charms. AirAsia stays ahead of the game with its innovative offerings to enhance your experience with the introduction of new in-flight meals inspired by comforting local flavors. At the exclusive launch held at Amorita Resort Bohol, AirAsia adds to the growing menu of rich and diverse ASEAN flavors with its Chicken Kare-Kare, Chicken Bicol Express and Beef Tapa in-flight meals. 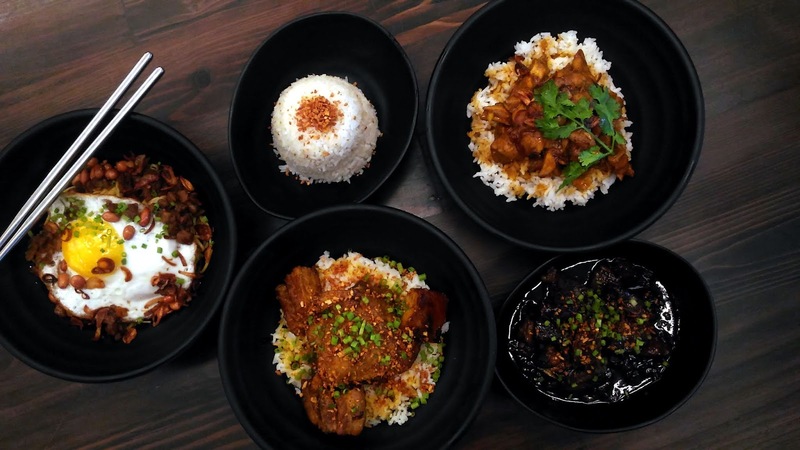 Part of the growing AirAsia Santan repertoire of ASEAN flavors, the new in-flight meals are a welcome addition to your on-board flight experience. When thoughtful personal touches add unforgettable layers to your hotel experience, you just know it's special. After all, it's the little things that go a long, long way for a lasting and memorable impression in any hotel stay.